Meet SoFi, the brainchild of scientists from the Massachusetts Institute of Technology who have unleashed the first free-swimming, soft-bodied robotic fish with a mission of studying elusive sealife dwelling beyond the limits of most human divers. 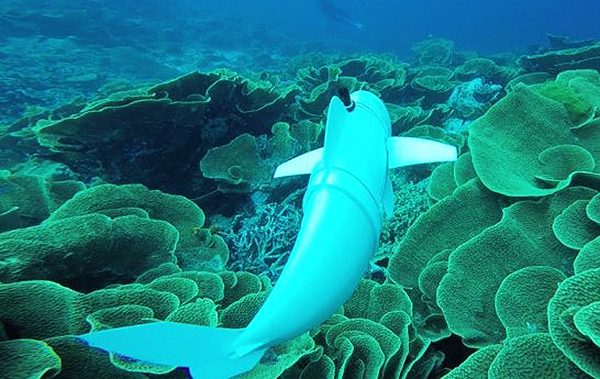 During test dives in the Rainbow Reef in Fiji, the unique new, soft-bodied robotic fish dubbed SoFi swam at depths of more than 50 feet for up to 40 minutes, nimbly handling currents and taking high-resolution photos and videos using (what else?) a fisheye lens. From materials released by the Massachusetts Institute of Technology Computer Science and Artificial Intelligence Lab.